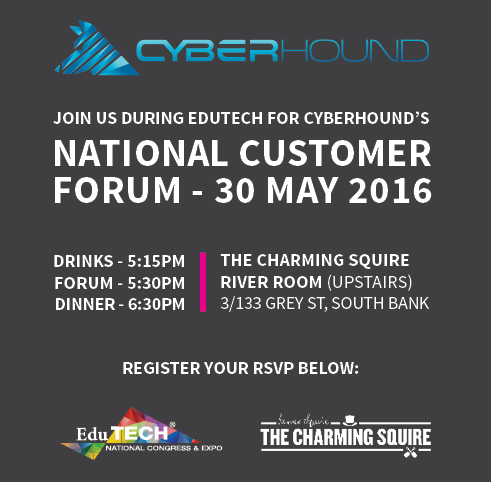 CyberHound is hosting a National Customer Forum during EduTech 2016 and we’d love for you to join us! Hosted by our CEO, John Fison – this session aims to provide you with a great opportunity to meet the CyberHound team and find out some important business and technical news. We will also be presenting information on CyberHound’s roadmap and opening the floor for you to share ideas in an open forum.